Scientific research is typically classified as basic or applied. Basic research, usually carried out in academic institutions or research institutes, is theoretical and has a long-term vision for success. The rewards for significant discoveries are measured in publications in prestigious journals, academic promotions, and the accolades of the scientific community. Not infrequently, the focus of these basic research scientists is not on applications, and all too often, the research conducted is highly specialized. By contrast, the research conducted in commercial laboratories (biotech, pharmaceutical, agricultural, chemical) is multidisciplinary and has a short-term horizon with a commercial objective and practical utility. To an increasing extent, the demarcation between basic and applied science is less distinct. Not all basic research is, nor need be, theoretical. With an increasing understanding of humans and microbes at molecular and biochemical levels, new drugs are being developed that target the specific cause of disease, including correcting genetic defects. When the basic research studies of academic scientists are funded by commercial companies, contractual agreements commonly provide the sponsors with priority rights in seeking patents for any discoveries. Moreover, some enlightened and innovative biomedical, chemical, and electronic companies have encouraged their scientists to pursue basic and undirected research, with no immediate commercial objective. In recent years, there has been increasing governmental emphasis in Europe and the United States on translational research, in which basic scientific discoveries generated in the laboratory are directly applied to applications that benefit the health and well-being of society. Nowhere has this impetus for translational focus been greater than in the biomedical community. In December 2011, the National Institutes of Health established the National Center for Advancing Translational Sciences. Directed by the slogan “bench to bedside and back,” translational medicine seeks to take potentially fruitful basic research findings—in such areas as genomics, transgenic animal models, structural biology, biochemistry, and molecular biology—and apply them as the foundation for clinical studies, which, if successful and refined, can serve as the basis for routine clinical practice. SEE ALSO: Scientific Method (1620), Blood Pressure (1733), Germ Theory of Disease (1890), Tissue Culture (1902), Antibiotics (1928), Cloning (Nuclear Transfer) (1952), Monoclonal Antibodies (1975), Bioinformatics (1977), Genomics (1986). 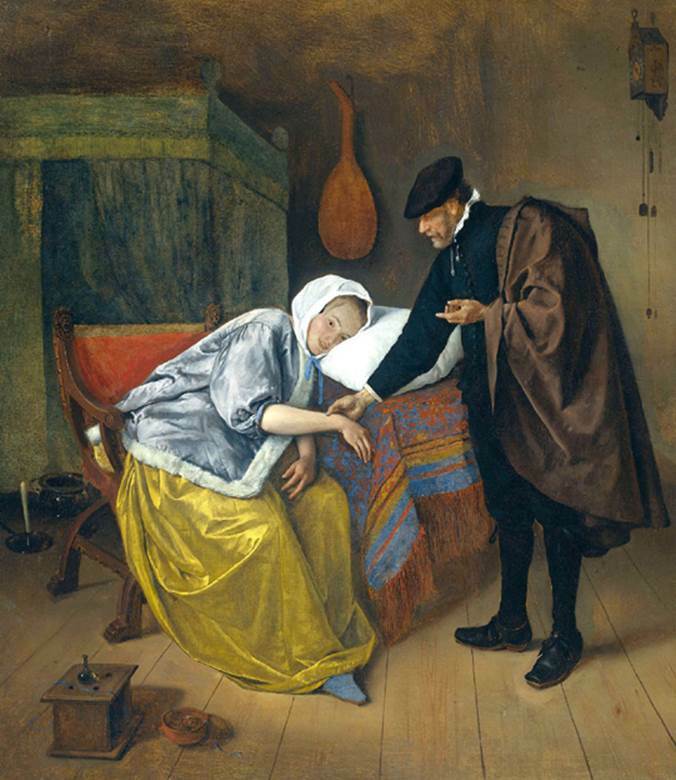 The Sick Woman, a painting by Dutch artist Jan Steen (c. 1625–1679). There were few effective medications available for use before the nineteenth century, with the benefits of many treatments attributable to the presence of a caring physician and the placebo effect.